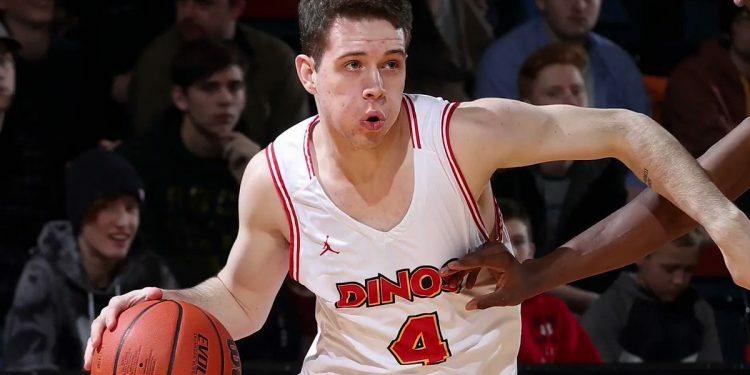 As the Calgary Dinos season ended it would mark the first time in program history that it had reached the summit of USports – the 2018 USport Men’s Basketball Champions. For Andrew Milner, a freshman from Nova Scotia, he had now experienced both sides of the spectrum– from an 0-11 season in the National Prep Association at Rothesay Netherwood School to Champion of the Canadian University world. Trusting the process was never more apparent for Milner as he came into the RNS (Rothesay Netherwood School) program looking to help build the foundation, not gain instant success. Milner stayed mentally tough, as he knew he was the leader of the team, and couldn’t take a step back from a loss. He instead learned, kept working in the gym, and eventually picked up the offer from Calgary through coach Matt Skinn, a Nova Scotian native in his own right. RNS Head Coach Damian Gay had to ensure Milner that through the losing there would always be a silver lining. To his credit, Milner stayed true to the process and took the NPA competition in stride always keeping the vision in his mind. “There wasn’t doubt after a bad loss because I kept the ultimate goal in my mind of looking into the future,” Milner said. Milner still keeps up with his Riverhawks and was extremely impressed with their effort against the undefeated and #1 ranked team at the NPA Nationals, the Notre Dame Hounds. Milner notes that his long term goals have been bolstered by two things in particular; his lack of high school success and his experience at the Nova Scotia NPH showcase in 2016.